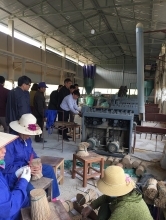 (VEN) - The Industry Promotion Center of Bac Ninh Province has improved its industry promotion planning activities to enable beneficiary businesses to make the most of the advantages offered. The Bac Ninh Province Department of Industry and Trade assigned the provincial Industry Promotion Center to build a project for assisting support industry enterprises in the province with funding from the 2018-2020 national program for industry promotion. The project is expected to develop support industry enterprises into an important part of multinational corporations’ global supply chains. Specifically, it will help support industry enterprises improve production capacity and scale, create conditions for the producers to cooperate, access markets, form production connectivity chains, and share and learn from others’ experiences. The project is also designed to promote productivity and quality improvement and sustainable development, and create breakthroughs in industry promotion related to support industry and engineering sectors in the province. Under the plan, the Industry Promotion Center will hold two seminars on productivity and quality improvement and support industry development orientation. Seminar participants will listen to experts’ speeches and discuss support industry problems and ways to enable small to medium-sized rural industrial producers to cooperate, access markets, share experiences, and reach sustainable development. 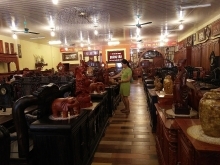 The center will support the construction of three new product demonstration models, with priority given to enterprises in the Dong Tho Industrial Zone in the province’s Yen Phong District, and assist 15 province-based enterprises to apply advanced machinery and equipment, and improve technology, productivity and product quality. In addition, the center will assist two other enterprises in upgrading their environmental pollution treatment systems, improve infrastructure in the Dong Phong Industrial Zone, and increase management capability at different levels in support industry enterprises. Bac Ninh recognizes support industry promotion as an important factor in sustainable development and provincial business participation in the global production chain. The province is home to 418 support industry enterprises, 272 of which are foreign-invested enterprises. These foreign funded producers have total investment capital of US$3.1 billion and provide jobs for about 80,000 people. Support industry enterprises in the province remain poor in terms of quantity, they mainly involve packaging and are just second and third-grade suppliers but not direct partners of multinational corporations. They are facing fierce competition from their foreign counterparts in Vietnam, which are powerful in terms of finance and technology. According to a Bac Ninh Province Department of Industry and Trade representative, the province has launched many programs to help small to medium-sized enterprises improve production and gradually join in component and parts supply chains. 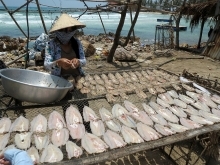 The project to facilitate support industry enterprises in Bac Ninh with funding from the 2018-2020 national program for industry promotion is expected to provide major solutions, as it directly impacts enterprises’ production and management. The department has worked with Samsung Group to implement a Vietnamese enterprise competitiveness improvement project. The project assists enterprises in improving business administration, production management, personnel restructuring, infrastructure development, and development of member units. The project also helps enterprises prepare improvement plans and methods based on collected data. Bac Ninh Province has devised long-term solutions to help businesses in the province join in multinational corporations’ support industry supply chains. The province encourages commercial banks to provide enterprises with preferential loan rates and grace periods to facilitate their equipment and technology modernization, production development and production of import substitutes. Besides, Bac Ninh has expanded the scale and diversified modes of workforce training, focusing on developing human resources for such key sectors as electronics, information technology (IT) and engineering. 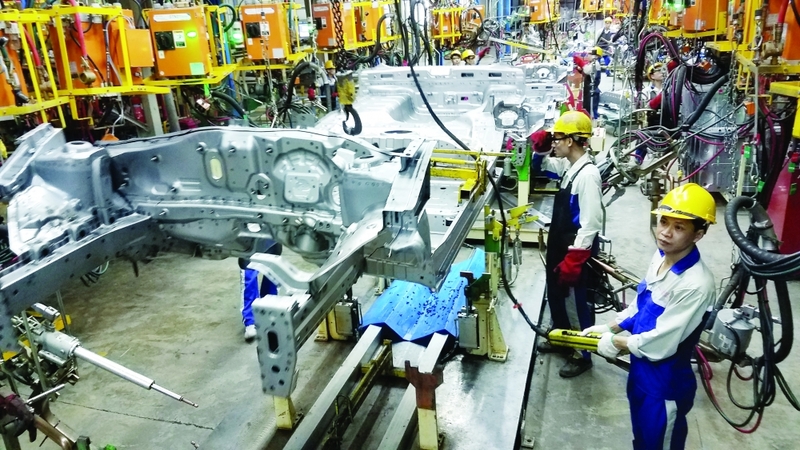 Bac Ninh has significant preferential policies for foreign-invested enterprises with technology transfer projects and financing commitments to province-based enterprises in support industry development. The preferential policies include reduction in corporate income tax related to technology transfer and transfer of the right to use patents for efficient exploitation of technologies already registered overseas. For market development, Bac Ninh will look for suppliers of support industry products inside and outside Vietnam, which will function as a bridge, especially between foreign-invested enterprises and domestic companies. The project to assist support industry enterprises in Bac Ninh Province with funding from the 2018-2020 national program for industry promotion has a total capital of VND68.31 billion. The project sets specific targets and its smaller projects are funded on an annual basis.